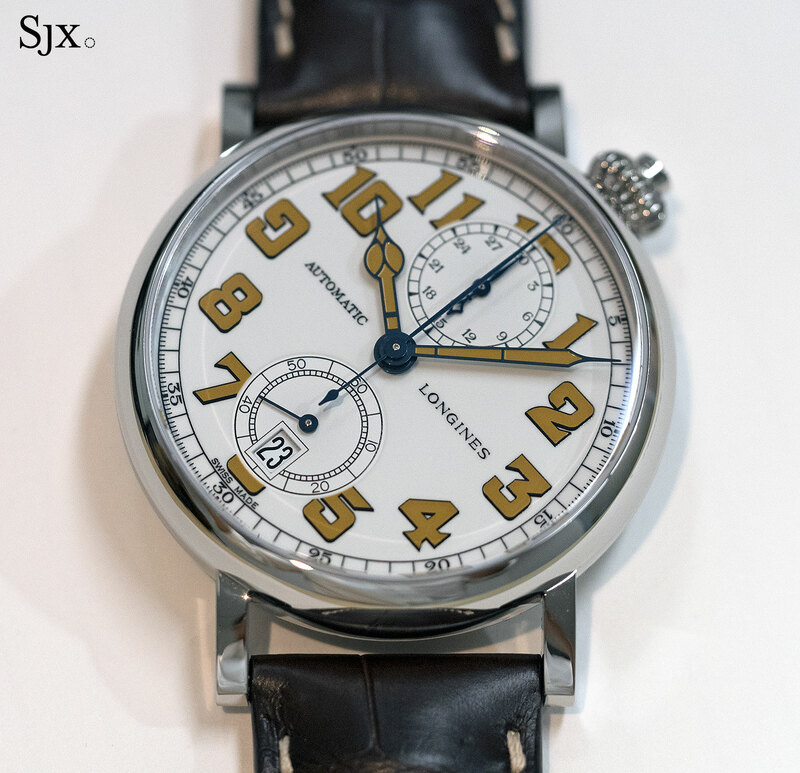 Based on a 1930s pilot's chronograph, the Longines Type A-7 is striking, unusual, wearable and affordable. 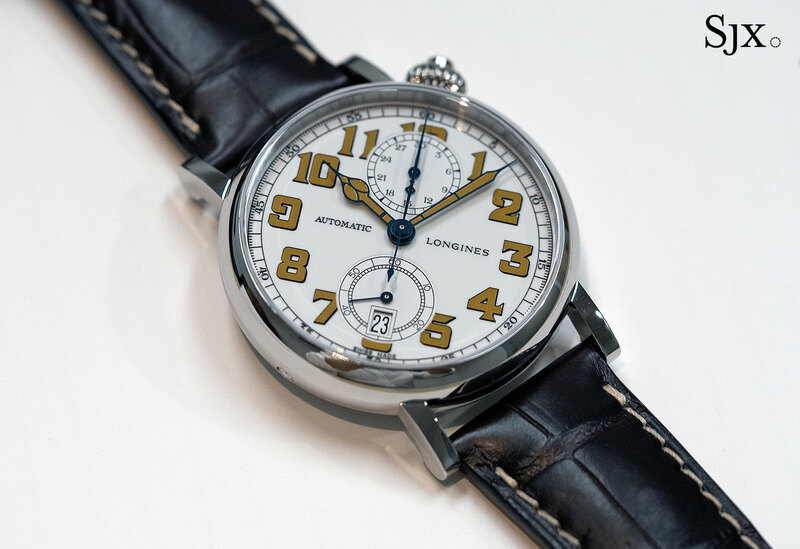 Longines has a winner with the new Avigation Watch Type A-7 1935. Both unusual and striking, the Avigation Watch Type A-7 1935 is a remake of a remake (the first Type A-7 arrived in 2012). But the latest Type A-7 is an improvement, being markedly smaller and more wearable – and enticingly less expensive by almost a third. 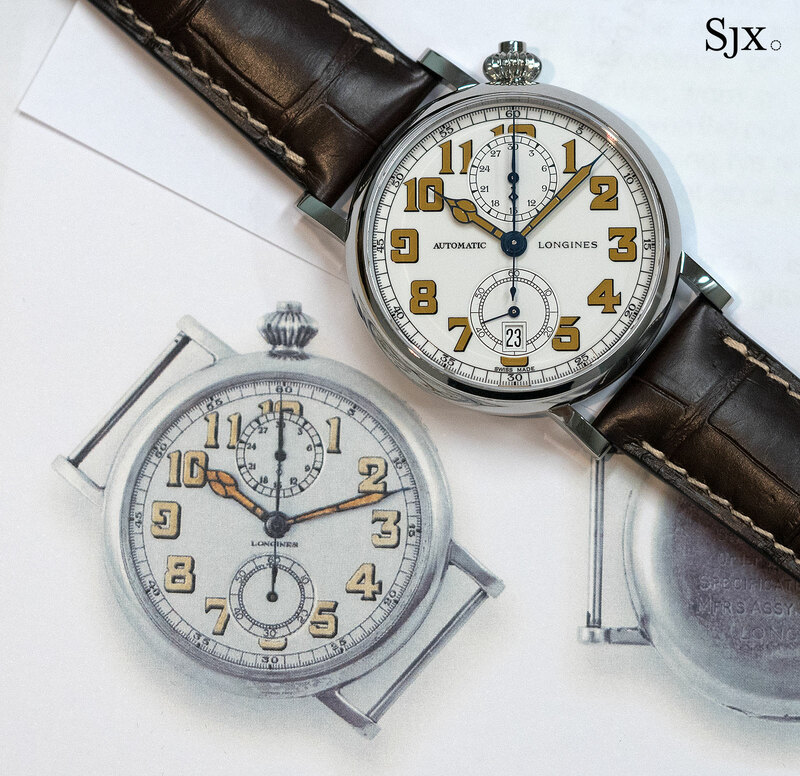 The Avigation Watch Type A-7 1935 is modelled on a mid 1930s chronograph made for the US Army air corps. Named after the military spec for the type of watch, the Type A-7 had the movement and dial offset by 40 degrees from the vertical. This unusual position allowed pilots to read the dial without having to let go of the yoke, the equivalent of a steering wheel on a plane. 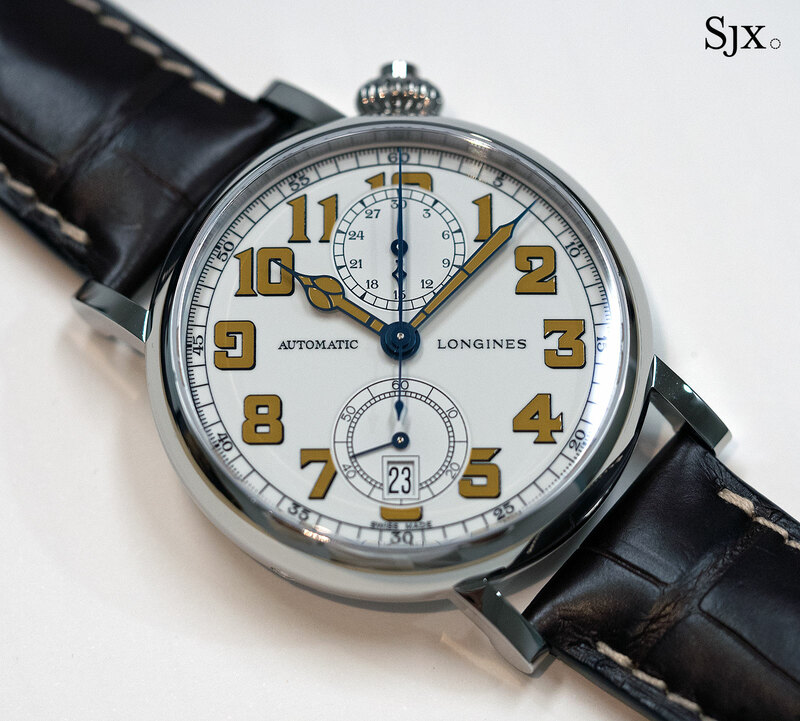 The original Type A-7 was an enormous 51mm in diameter – Phillips sold one in March 2016 for SFr72,500 – while the first Longines A-7 remake was an impractical 49mm. The new Type A-7 is an eminently wearable 41mm. But despite being significantly smaller, it still has a lot of presence. For one the watch seems larger than it actually is, due to the white dial and narrow bezel. 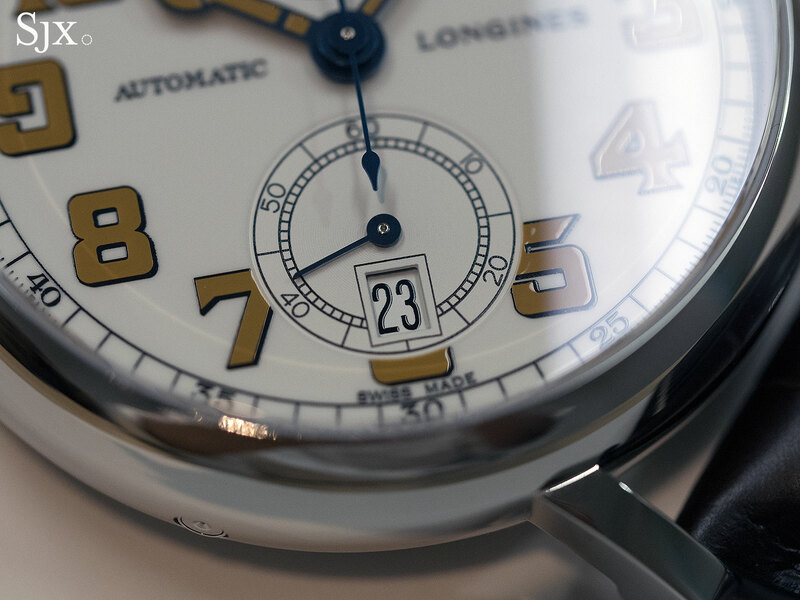 Throw in the off-centre dial alignment and oversized Gothic numerals, and it is hard to miss. 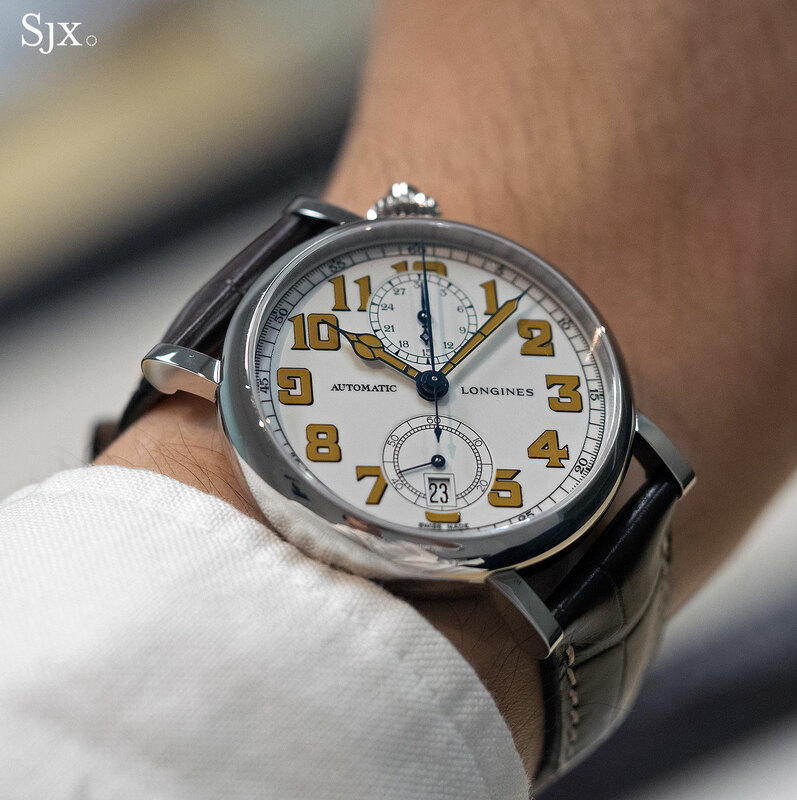 Finished in glossy white lacquer to mimic the look of the porcelain dial on the original, the dial has honey-coloured Super-Luminova on the hour numerals and hands. While the pale brown shade is intended to replicate the look of aged radium on vintage watches, it is a bit excessive, though forgivable. 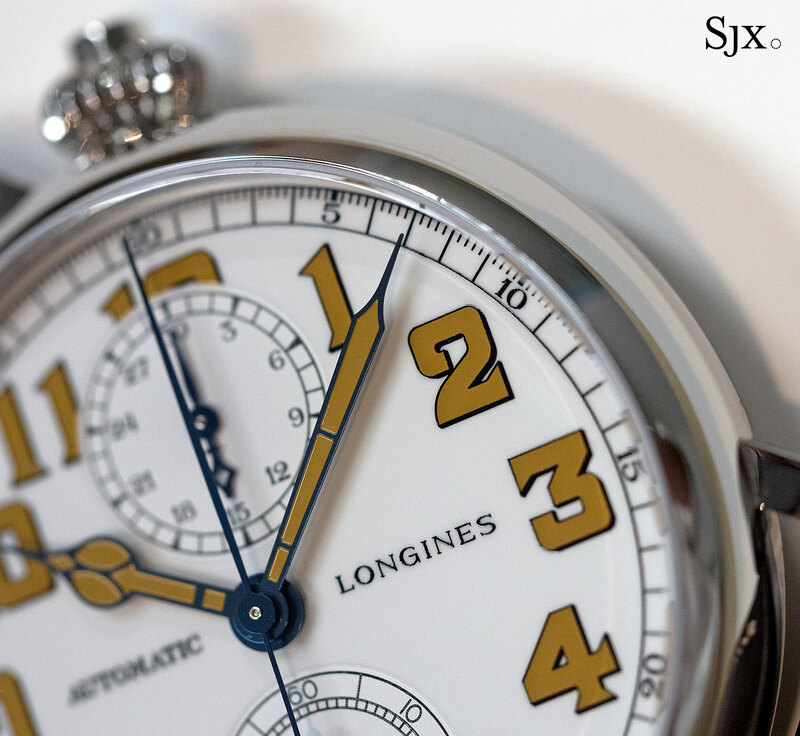 That’s complement by attractive blued steel hands and serif-font numerals on the dial. 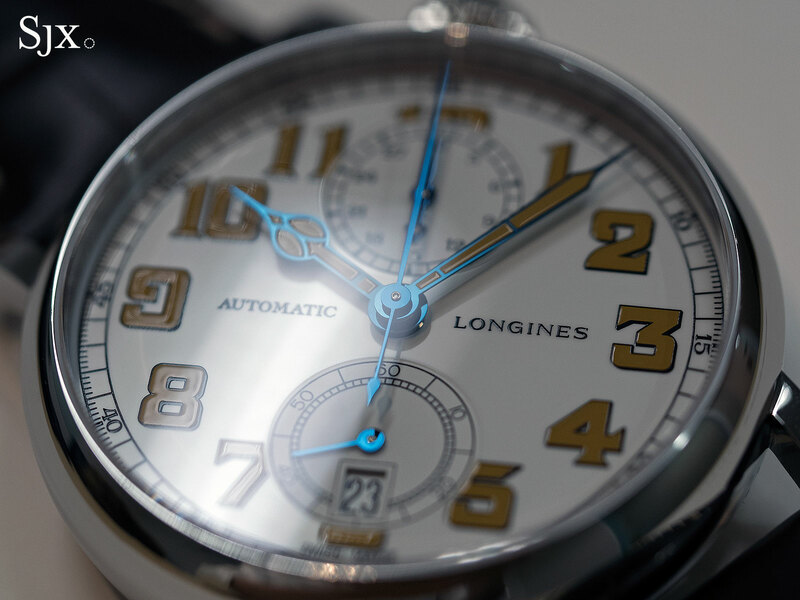 Like all Longines Heritage remakes the Type A-7 is afflicted with a date window at six o’clock, a modern convenience that looks completely incongruous with the vintage design. That being said, the date is not overly prominent. The Type A-7 is equipped with the calibre L788.2, an automatic with a 54-hour power reserve. Based on the ETA A08.L11, one of the Valgranges series of extra-large movements, the L788.2 is nonetheless heavily upgraded. It’s a single-button, or monopusher, chronograph, with one button for start, stop and reset of the chronograph. 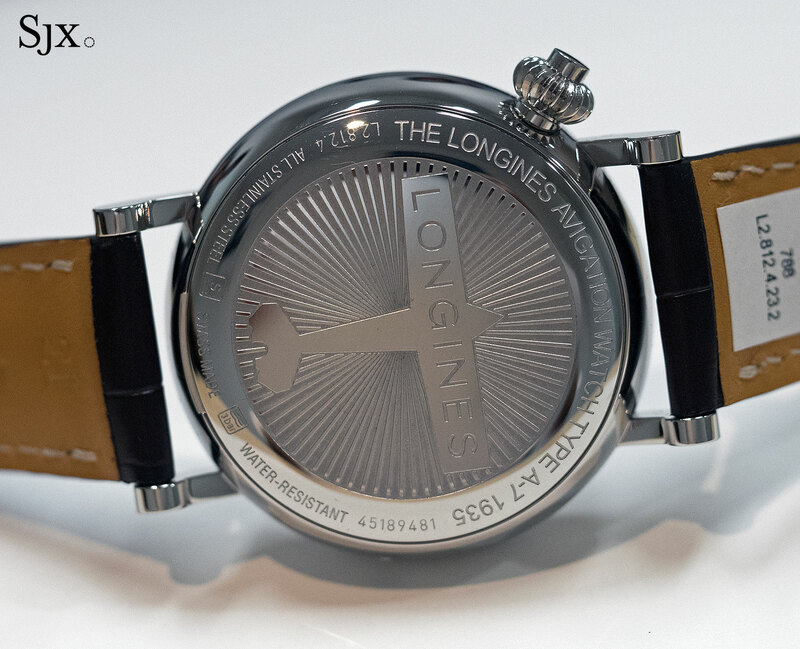 Additionally, the traditional cam to control the stopwatch functions has been replaced by a column wheel, a feature typically found in more expensive chronographs. 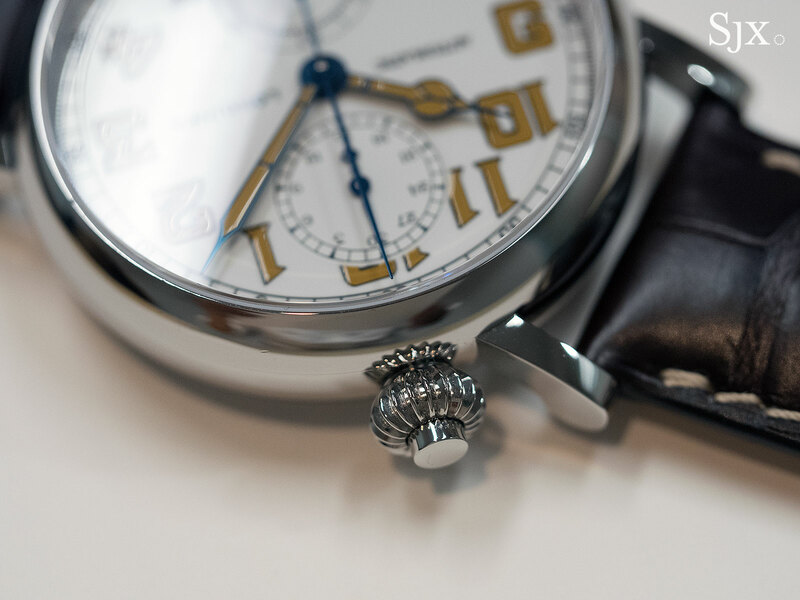 This is the same movement found in the first generation Type A-7 remake, and also in the more recent Column-Wheel Single Push-Piece Chronograph and Pulsometer Single-Button Chronograph. 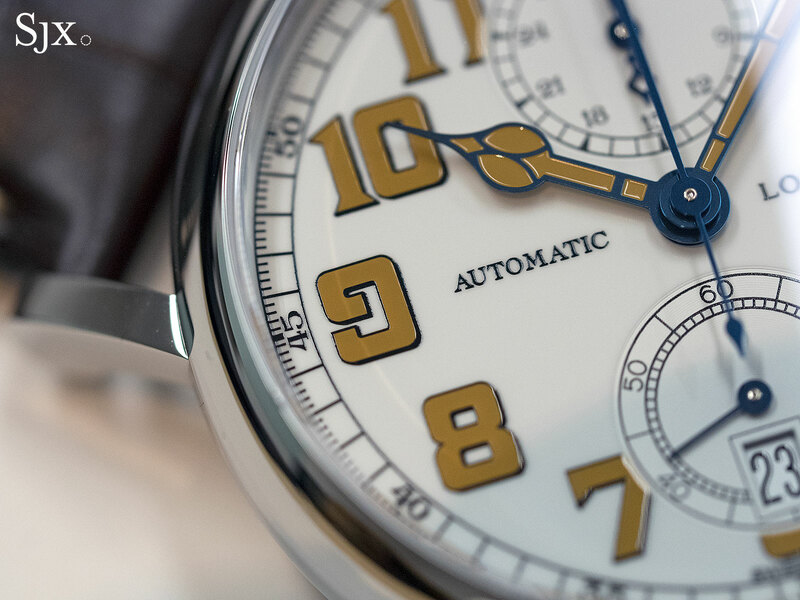 The Heritage Aviation Watch Type A-7 1935 (ref. L2.812.4.23.2/4) is priced at SFr3250 or S$5170 (equivalent to US$3710), and will be available starting November 2016 at Longines retailers and boutiques. 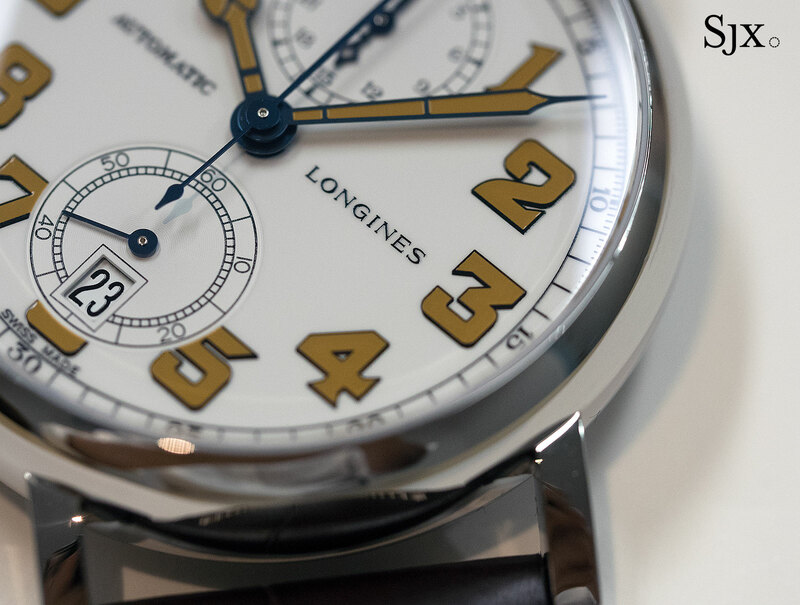 A handsome, affordable watch that's modelled on a 1960s railroad watch, Longines' latest Heritage timepiece is appealingly uncomplicated. Evoking the 1970s with the latest vintage reissue from Longines that's modestly sized and priced.